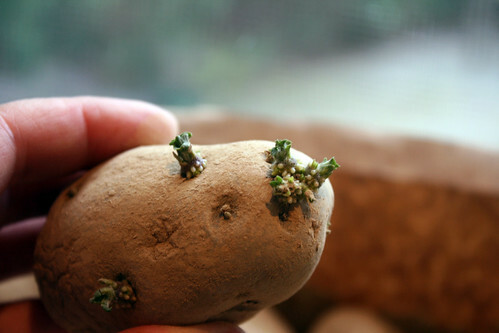 After 3 weeks of sprouting on my window sill, this is how my potatoes look. No, I did not sit and watch them the whole time. ;-) Tomorrow, I have two potato planting events scheduled. I'll help the kids at the Wheelock School in Medfield MA plant their potatoes and then I'll go to my community garden plot and plant my own potatoes. It's potato planting time! !